This is a unique take on virtual reality that tracks your eyes in addition to your head for increased accuracy and realism. This reduces not only head movement but also the likelihood of VR sickness and introduces a whole new style of gameplay in which you can simply look at certain objects to trigger an action. Back then, Fove was just a Kickstarter project, but now it’s ready for the masses. Units will finally start shipping to Kickstarter backers next month, and they’re also now available for preorder on Fove’s website. The device will retail for $599, but those who preorder between now and Nov. 9th can get it for $549. Fove gets its name from “foveated rendering,” which is a technique used to render scenes in only the area where the eye can see. This, Fove says, is vastly more efficient than having to render the scene over a large area. It improves performance significantly and reduces strain on the system, according to the company. It also means that unlike other headsets such as the HTC Vive or Oculus Rift, you could use the Fove with lower-end PCs. The Rift’s recently announced Spacewarp technology allows for this as well, but Fove CTO and co-founder Lochlainn Wilson says the company still has the Rift beat when it comes to sharpness and quality: The Fove’s display has a resolution of 2,560 x 1,440 while the Rift’s is 2,160 x 1,200. I had a chance to try on the latest iteration of the Fove headset, and it looks a little different from the concept art used in the company’s Kickstarter pitch. Instead of a white plastic enclosure, there are velcro straps holding your head in place. “It was just too hard to make sure it fit on different-sized heads,” Wilson said. The current iteration doesn’t allow for thick-rimmed glasses like mine so I had to take them off, but Wilson says the company hopes to have a more spectacle-friendly version next year. Like my coworker Roberto Baldwin described when he tried on an early version of the Fove, you first have to go through a calibration process where your eyes follow a floating green dot for a few minutes. After doing that, I found myself facing an army of tiny, triangle-shaped spaceships. Just looking at them was enough to trigger gunfire, though I had to make sure the crosshairs lined up correctly with my targets. Next, I saw a demo where the depth of field changed depending on where I looked at an image — focusing on the foreground blurred out the background, for example, while staring at an object in the background fuzzed its surroundings, creating a bokeh effect. I also played a demo of Project Falcon, an on-the-rails first-person-shooter collaboration between Fove and Rewind. I used an Xbox controller to blast away enemy robots, using only my eyes to aim. I still occasionally had to turn my head to pinpoint those that were slightly out of view, but otherwise I kept relatively still, letting my gaze wander. That was a good thing, because once eye-tracking was turned off, I found that moving my head around gave me a bit of motion sickness. Wilson also showed me another game in which you’re a bound captive, unable to move your arms. As you confront your interrogative captor, you can look around the room at different items in order to prompt him to take certain actions, such as, say, assassinating an informant. 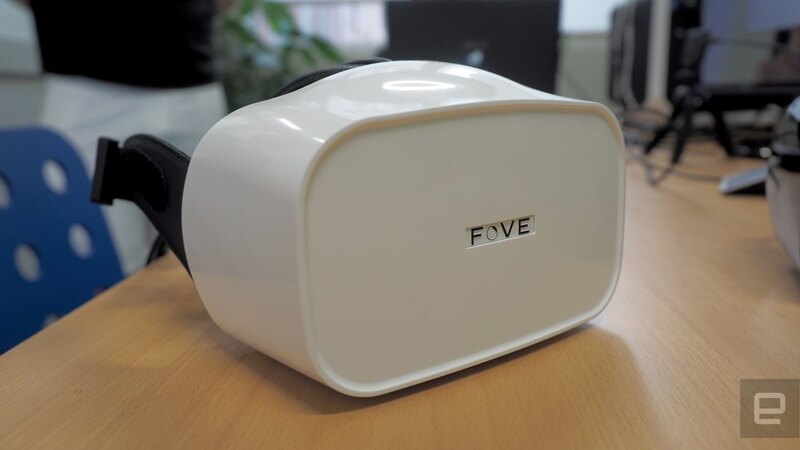 But even though Fove is a full-fledged best virtual reality headset that works with a variety of SteamVR games, Wilson made it clear that the device is still very much for developers. “We’re coming at VR from a slightly different angle,” he said, adding that he’s not trying to compete with Oculus or HTC. Instead, he wants to develop the eye-tracking tech as much as possible. 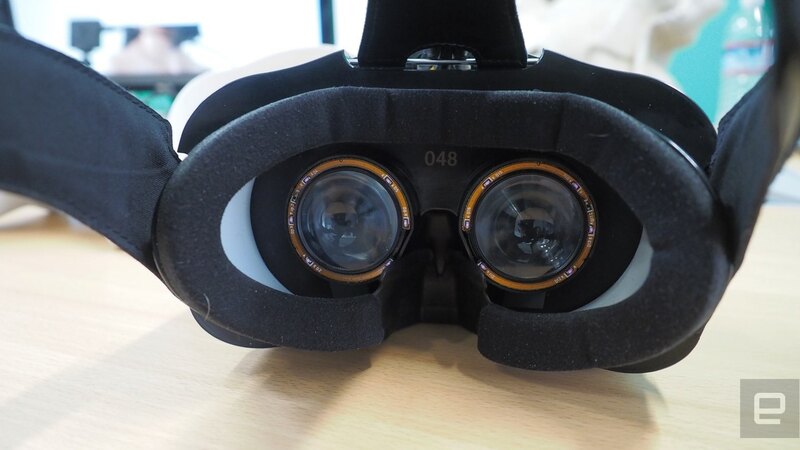 Yuka Kojima, Fove’s CEO and co-founder, added that while eye-tracking has an obvious use case in games, it could also be used in other applications too, like in avatars for social VR. Indeed, Fove is even working on mouth-tracking so that you could interact with your friends’ in VR in a much more realistic way.